The Standing Stone: Rathmore, Mound, Moneylea, Co. Roscommon. Rathmore, Mound, Moneylea, Co. Roscommon. Location – Located right on the N5 near the Rathcroghan cross-roads and opposite a school. 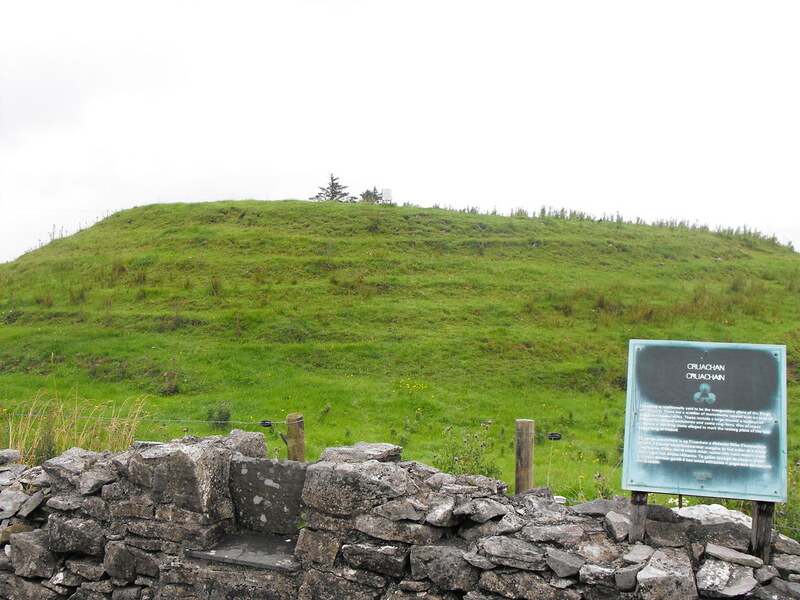 Description and History – This mound is quite impressive and has taken advantage of a natural knoll which the builders have added to. 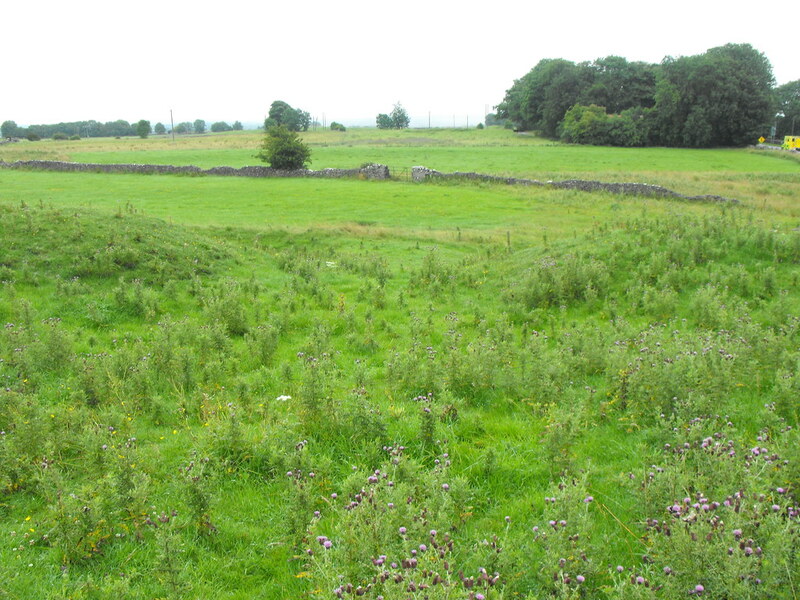 The mound is nearly 40 meters in diameter which is surrounded by a 7m wide ditch. 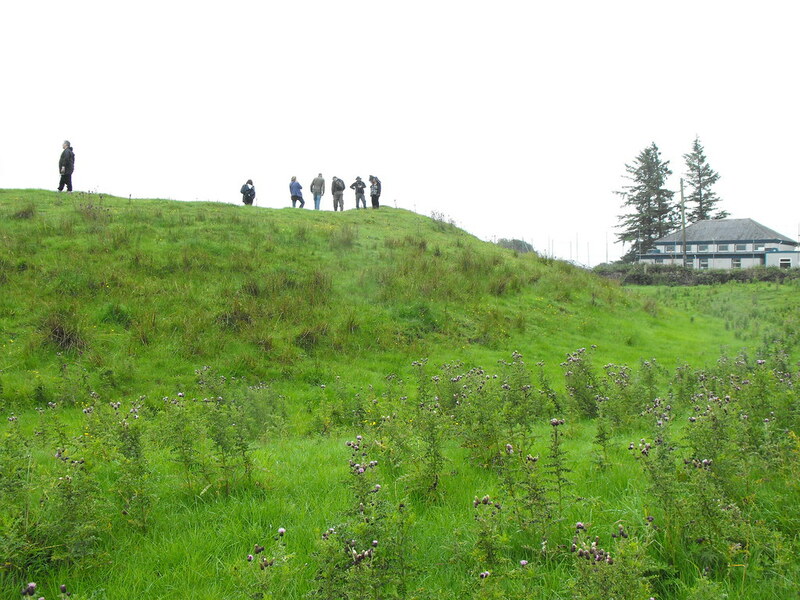 The mound is convex in shape. The entrance is causewayed and on the E side. There are many other uncompleted causeways indicating that the entire structure was never finished or that the other entrances were at least. 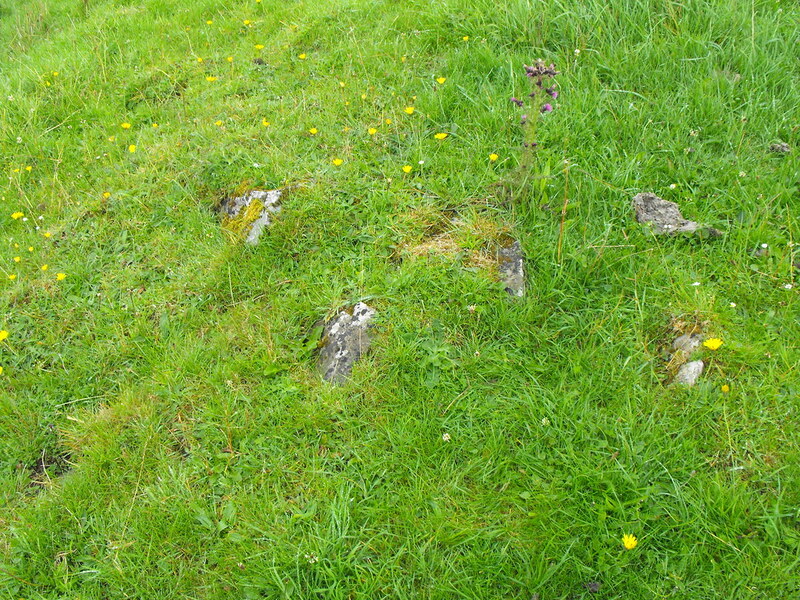 Stone was used in the building of the mound and protrudes in many places. 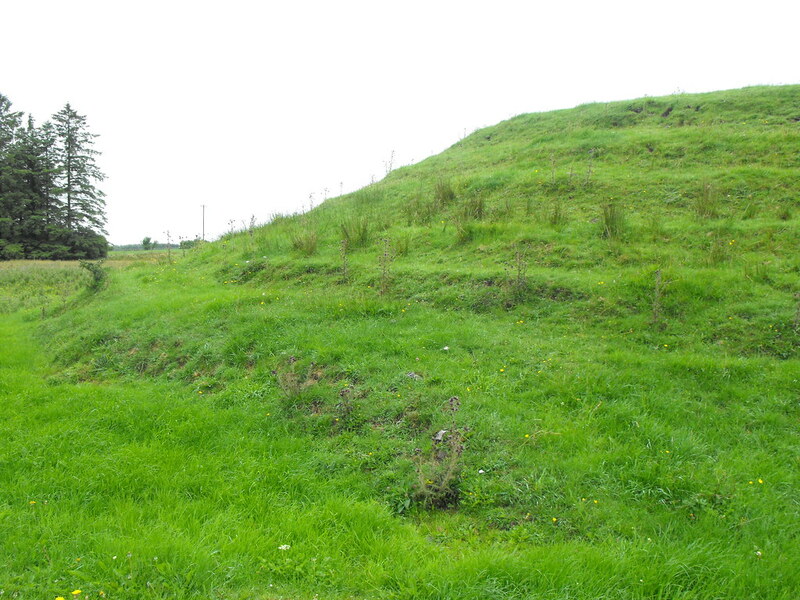 It is similar to a ringfort but the top is too small compared to most ringforts and it is very high also indicating some other purpose. If it wasn’t for trees you would be clearly able to see Rath Cruachan. Difficulty – Easy to get to with plenty of parking. It is quite steep and a little tricky to manoeuvre around. 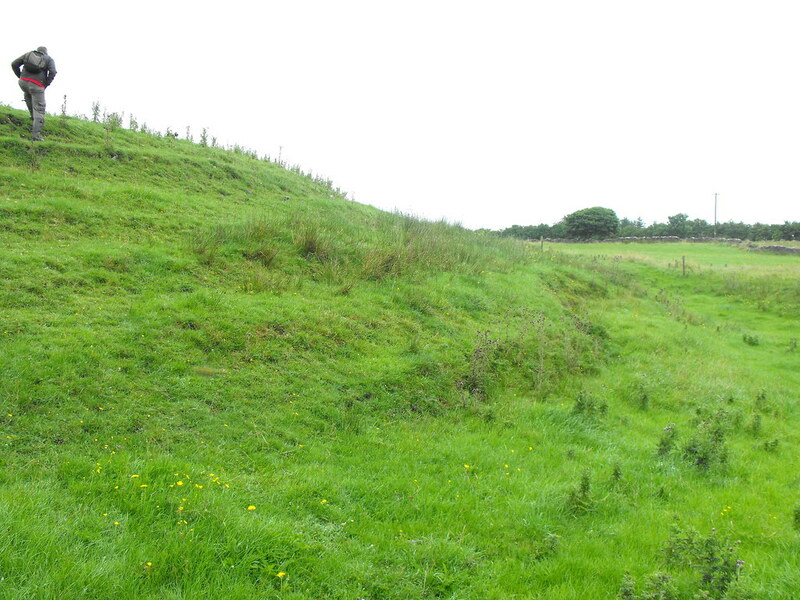 For more sites in the Rathcroghan complex, click here. For more mounds, click here. For more sites in Co. Roscommon, click here. This one is just small enough for me to get most of it into one shot. You can clearly see the layers of building material here. In places the stone used in the building pokes through. 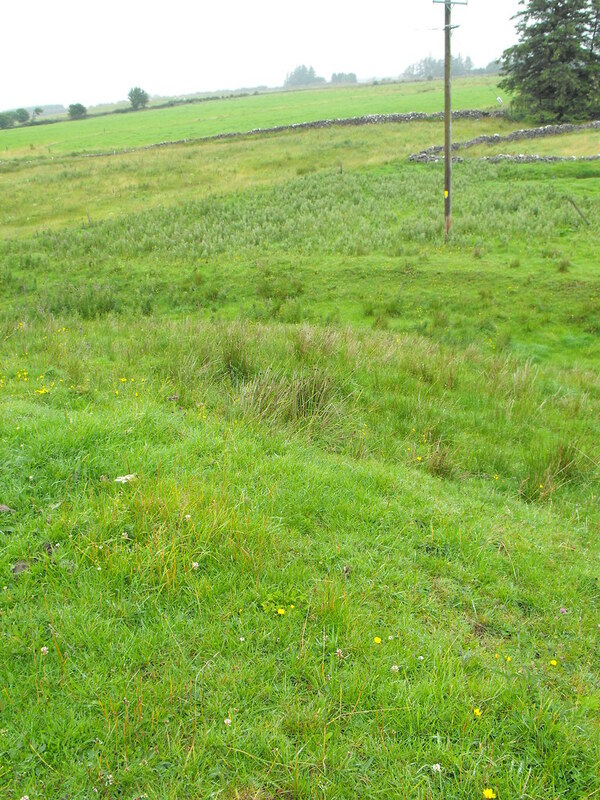 Looking from above you can see low rings that encompass the mound. With the people on top you can get an idea of the size of this mound.